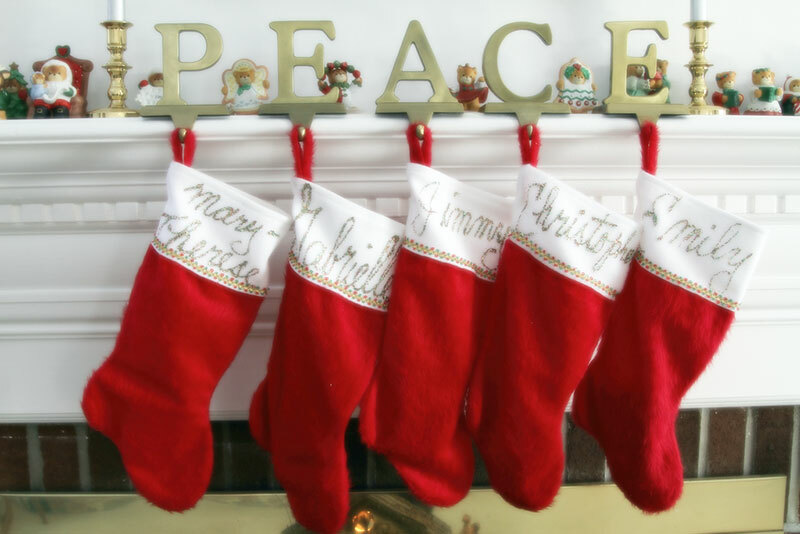 How many Christmas stockings do you make up every year? I have found that Christmas stockings are the ideal gift for both my friends and family. They are relatively inexpensive and at the same time, they are a lot of fun to make up. You can draw on all sorts of ideas and it is an easy project to complete once you have all of your things together. I put together some ideas of what I do with my friends and family’s Christmas stockings. But, I’d love to hear your suggestions! No one is too old to receive a Christmas stocking. Children of all ages appreciate their Christmas stockings as we all know. But, husbands do as well (well, my ex-husband liked his)! If you’re short on ideas on what to put in your husband’s Christmas stocking, take a look at his hobbies. If he’s is a keen golfer, you may want to pop in a packet of new golf balls, or new head cover for his most expensive clubs. You can get some great head covers for golf clubs at any discount store these days. I am sure that even your “big kid” appreciates the Minions. If you’re like me, you and your girlfriend(s) stay in touch frequently – especially you’re a single mothers like myself. We talk almost every day about our families and kids, and it’s nice to have that kind of special relationship in your life. 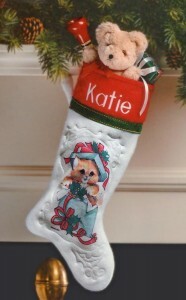 When Christmas comes around, I love to make up a personalized Christmas stocking for my best friend. Since I know her so well, it is not hard to know what to put in her stocking. I often find treats like small bottles of body lotion, and sample bottles of perfume in the boutiques. They’re extra goodies that come to mean so much. I’m still very close to my in-laws, and most in-laws like to know that you appreciate them and the best time to show your appreciation is during the holiday season. It all depends on their ages, however. I find small gifts for the garden such as seed packages, or even baked goods, are popular. I also enjoy making my own chocolates, and I make a couple of large batches just before the holidays, so that I can slip some small boxes into their Christmas stockings. It’s actually become expected of me at this point (which I cherish). It’s a simple gesture that all grand parents that I know really appreciate. Should I Make Up a Christmas Stocking for Baby? Of course, you should make up a Christmas stocking for baby. I know you’re busy around this time of the year with Thanksgiving and everything, but you can get a very inexpensive Christmas stocking- PERSONALIZED- at sites like PersonalBabyProducts. You can fill it with Baby’s favorite little play things and treats for now and it will become much more meaningful as he or she gets older. Likewise you can get a lifelong keepsake at Personalizedkidsplates that will become a cherished keepsake for years to come. Finally remember that all Christmas stockings should come from the heart. It makes the perfect gift even more special, and who knows, you may even have started a new family tradition! I’ve found it much easier to create this kind of tradition than it is to think of new gift ideas each year.